BERLIN (Reuters) -- Just as sports car fans adore the iconic 911, some company bosses are in awe of Porsche's industry-leading profit margins, allowing it to develop a consultancy business with a growing list of high-profile clients keen to find out how it's done. British Airways, German software company SAP, health care firm Fresenius Medical Care and Swiss bank UBS are among the diverse businesses to have turned to Porsche in recent years for management advice. In an industry often criticized for knowing more about theory than practice, Porsche Consulting's team of more than 360 can draw on the carmaker's experience of recovering from the brink of insolvency two decades ago, to become a 2.6 billion euro ($3.3 billion) profit engine for parent Volkswagen Group. "The key is to bring in experts who can prove a long success record," said Georg Kniese, a manager at the corporate development unit of SAP, which hired Porsche Consulting in 2008 to help shorten launch cycles for business software. 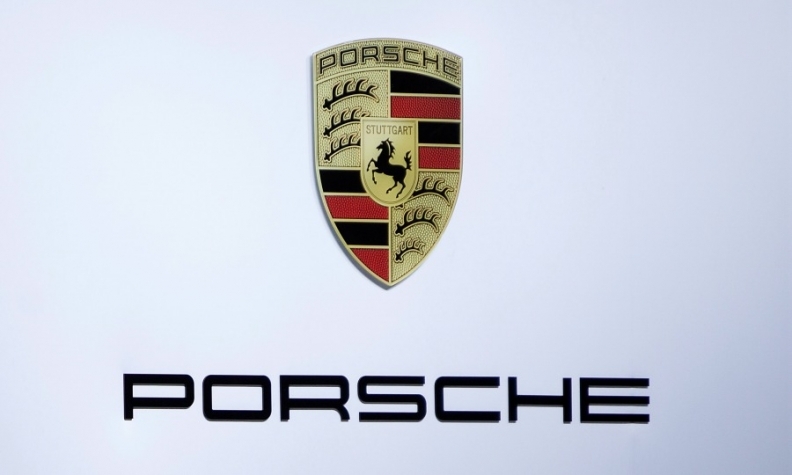 "Porsche's own restructuring was hard-edged and has evidently worked," Kniese told Reuters. Saddled with high inventories and wasted factory space, Porsche had a net loss of 122 million euros and sales of only 14,000 911 models when Wendelin Wiedeking took the helm in 1993. Workers had to climb round shelves at its Stuttgart plant to get pieces, said Ferdinand Dudenhoeffer, director of the Center for Automotive Research at the University of Duisburg-Essen. "Rectification of flaws was the name of the game in production," said Dudenhoeffer, a former marketing chief at Porsche, noting that over a fifth of 911 models had to be reworked for flaws such as paint damage or broken fuel gauges. Wiedeking shocked workers by donning denim overalls and sawing down shelves himself, personifying his drive to cut costs and streamline management, a company source said. Porsche also took steps to ensure factories only received parts just as they were needed on the assembly line -- a method that has been widely copied in the auto industry and that Porsche Consulting is helping other firms implement. Two decades and a push into the hot-selling SUV segment later, Porsche's sales have risen more than tenfold to 162,000 cars last year, and its operating profit margin is 17 percent, compared with premium rivals BMW and VW's Audi, whose return on sales barely tops 10 percent. Porsche Consulting says it is passing on its secrets. Under its guidance, SAP halved development time for Web-based software products to six months from 12, contributing to productivity gains of over 30 percent. To ensure lasting success, the Porsche experts redesigned office spaces to promote better teamwork. "Speed is hugely important," SAP's Kniese said. "Without those insights, we would probably still be facing a need for optimization on development matters." Porsche Consulting is still just a sideline for the sports car brand. It made 83.5 million euros in revenues last year out of total brand sales of 14.3 billion euros, and its chief executive, Eberhard Weiblen, is cautious in a highly competitive business consulting market dominated by global players such as PwC, Deloitte, KPMG, Accenture and McKinsey & Co.
"Customers have greater demands and the number of competitors is growing," Weiblen told Reuters. "The consulting business is becoming increasingly more difficult." But Porsche Consulting has been growing quickly. Sales rose 17 percent and 19 percent in 2011 and 2012, respectively, and while growth dropped to 1.8 percent last year as it set up new offices in Hamburg and Shanghai, it believes a differentiated business model and the support of clients will bring success. Unlike other advisory firms, Porsche Consulting avoids lengthy analyses, engages executives directly in staff coaching and aims to solve problems in their entirety rather than just fixing root causes, a senior manager at a German builder, which has used various consulting firms over the years, told Reuters. About 70 percent of Porsche Consulting's staff are engineers or people with an industry background. By contrast, many rivals hire generalists, not specialists, the manager said, asking to remain anonymous due to the sensitivity of the matter. VW this summer hired Porsche Consulting to oversee the 5 billion euro cost cutting plan it is seeking to implement with workers at its troubled passenger car brand, after labor leaders called for the replacement of McKinsey. Porsche's own brush with insolvency and radical overhaul has perhaps encouraged its consulting business to be bold too. When MTU Aero Engines was grappling with erratic parts supplies for maintenance in 2008, its own directors shunned a major overhaul and instead recommended stockpiling parts, Stefan Weingartner, its maintenance chief told Reuters. But Porsche Consulting helped MTU, which makes engines for planes built by manufacturers such as Boeing and Airbus, to restructure its logistics system to slash maintenance periods by about half to 60 days, Weingartner said. "Porsche was the only consulting company that recommended to alter processes very quickly and radically," he said.